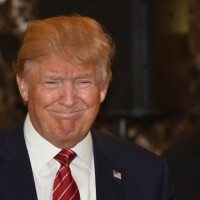 The fiscal year 2020 budget submitted by President Donald Trump includes a couple of points sure to ignite debate in the budgetary process. The proposal includes imposing additional work requirements on Supplemental Nutrition Assistance Program recipients. The Hagstrom Report says the proposed budget also imposes work requirements on recipients of Medicare and federal housing benefits. The work requirements will likely reduce Medicare program participation. That is part of the administration’s plan to reduce federal mandatory and discretionary spending. A senior administration official says that these are the biggest proposed cuts made by any president in history. However, Congress generally doesn’t follow presidential budgets when they write appropriation bills. The budget proposal is typically seen more as a statement of the administration’s priorities. The proposed budget will cut back on farm subsidies paid out to farmers in the highest income brackets. It would also reduce the average premium crop insurance subsidy from 62 percent to 48 percent. It also limits commodity, conservation, and crop insurance subsidies to producers that have an adjusted gross income of $500,000 or less.